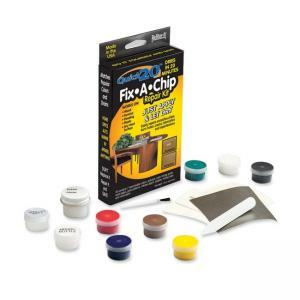 Repair kit quickly and easily repairs burn holes, chips, blemishes, imperfections and cracks on wood, Formica, paneling, plastic or any hard surface. Chip repair dries in only 20 minutes. Kit colors match popular colors and grains. 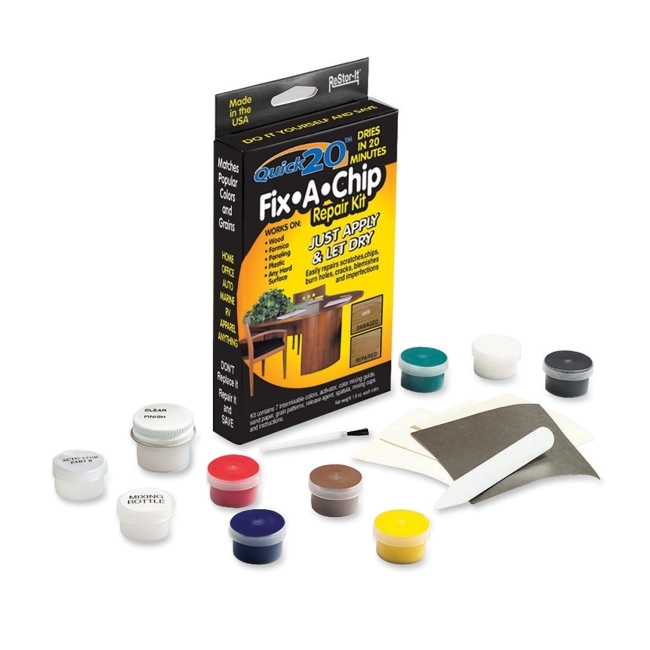 Kit includes seven inter mixable colors (red, blue, green, yellow, white, brown, and black), color mixing guide, mixing cups, applicator, and easy-to-follow directions.